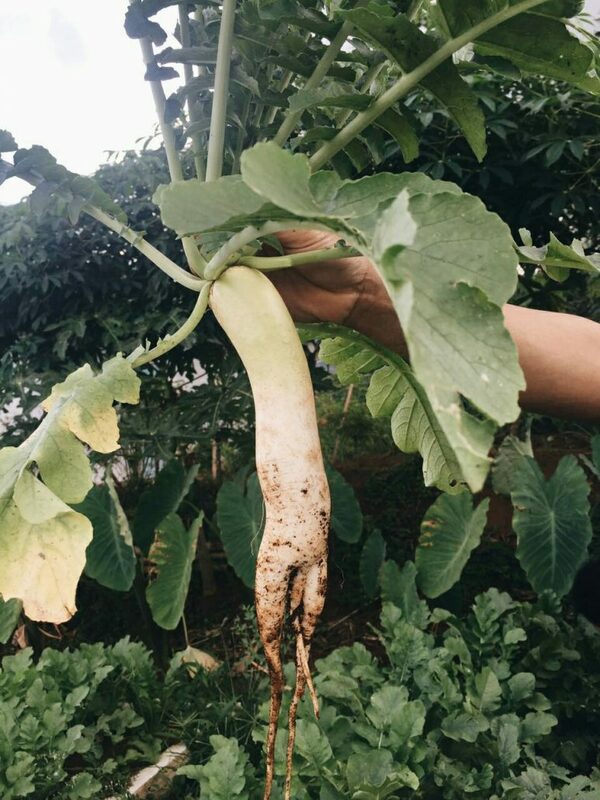 This is the first time Blueboots Farm tried planting Daikon radish and we are pleasantly surprise how easily and quickly they grow. We started planting the radish seeds in seed trays filled with good compost, cocopeat and rice husks. After 2 weeks, the seeds sprouted baby seedlings ready to be planted into the soil. Alternatively, you can also plant the seed directly into the soil 1.5 cm deep. Daikon radishes need more space than garden radishes. About 15 cm apart from seedling to seedling and 50 cm apart between rows will give sufficient space and nutrition for the radish to grow up 40 cm long and 8 cm wide! The picture shown above is about 40 days old daikon radish. We are planning to harvest the daikon radishes when they are 60 – 70 days old. Let’s see how much bigger and bolder they will grow up to! Daikon radish can be turned to many versatile dishes. From eating it raw in salads, boiling it in soup, roasting it with olive oil, lemon, salt and pepper to pickling and fermenting the radish for tangy and crunchy accompaniment to that Korean fried chicken. Oh, the list go on… how can you not love this wonderful produce? Pak Yayan is born and raised in this very area where Blueboots Farm is located. He has spent most of his life shifting from plot to plot working on people’s plot of land to grow rice paddies, taro, cassava, sweet potatoes and many more. We are so blessed to have Pak Yayan on our team as he has the experience and local wisdom knowledge we needed to support the farm’s activities. 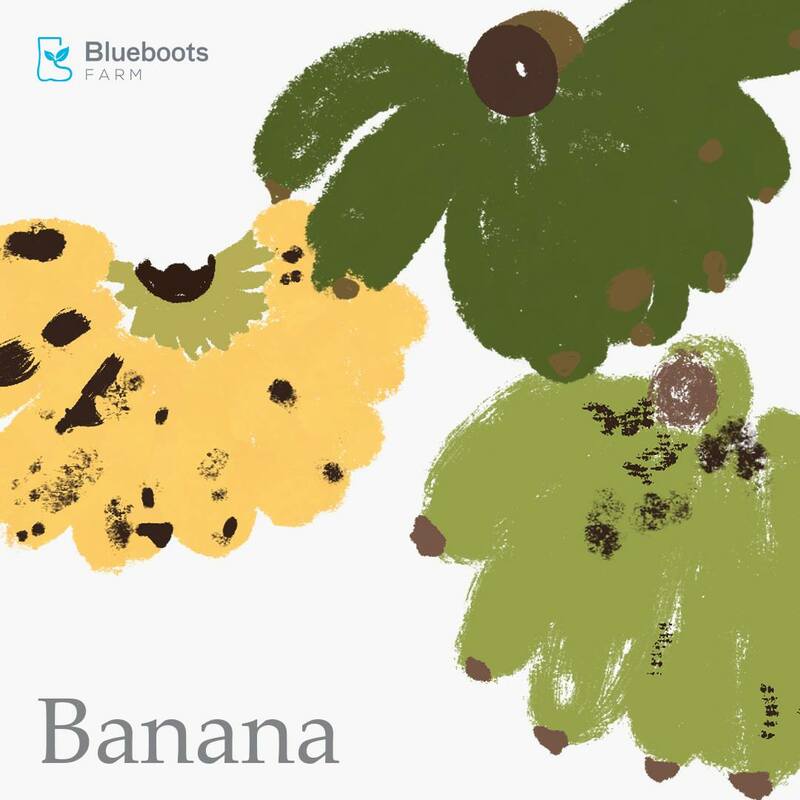 He has a special love towards local varieties of bananas which he planted all at the edges of the farm as a personal collection. We spent some time this morning with Pak Yayan to know him a little bit more and to find the motivation behind his love in farming and the struggles he had with organic farming. Pak Yayan: Saya mulai bertani sejak umur 20 tahun. Pertama kali mulai bertani karena orang tua saya juga petani. Kakak adik saya ada yang bertani juga dan ada yang kerja bangunan. Dulu kebanyakan kami menanam tomat, timun dan cabe untuk dijual di pasar. I started farming when I was 20 years old. In the beginning, I started farming because my parents were farmers as well. Some of my siblings do farming, but some also work in construction. We used to grow tomato, cucumber and chili to be sold in the traditional market. Yang saya suka dari bertani adalah karena ada hasilnya dari bertani. Bisa merasakan hasilnya dari tanaman yang sudah dirawat. Walaupun modalnya besar, tapi nantinya akan menghasilkan lumayan. The thing that I enjoyed from farming is there is a real result out of it. I can see the result after taking care of the plants. Although the cost is not small, but the result will be worth it. Dulu waktu orang tua saya bertani, mereka menggunakan metode organik. Jadi pupuknya dari kotoran kambing atau dari abu bakar. Kira-kira di tahun ‘60an pupuk baru umum digunakan. Tapi bertani organik memang lebih susah daripada bertani konvensional. When my parents started farming, they used organic method. So the fertilizer is from goat’s manure or from ash. Approximately in the 60s, synthetic fertilizer was commonly used. However, organic farming is harder than conventional farming. Adding composts, composts & composts! 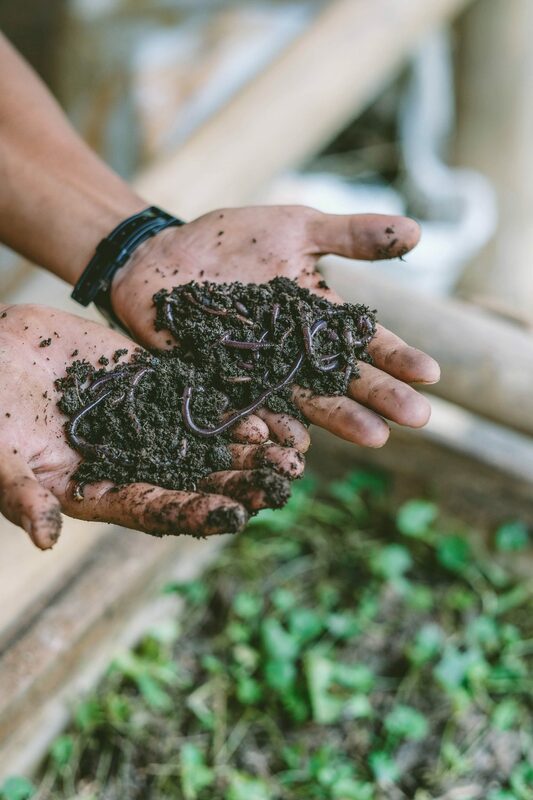 Adding composts to current soil in the garden is the easiest and sure way to improve fertility and structure in the soil. Adding composts will enhance the water retention of the soil and increase the activity and number of soil organism. You can get supply of composts from local organic garden stores or local farms that you can contact. Composts are decomposed organic matter made from kitchen waste, animal manures, unused green leaves and dried leaves. All piled up to decompose till the pile becomes a dark and soft black soil called humus. Planting cover crops on exposed soil. 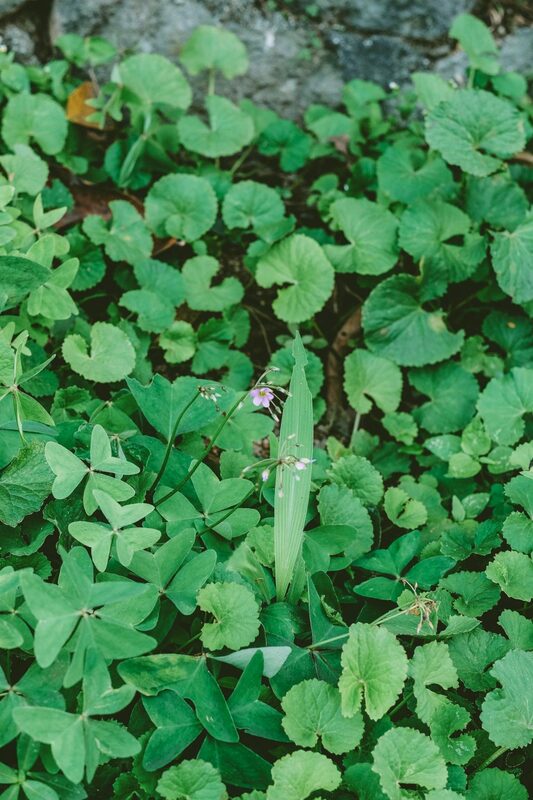 Recommended cover crops are plants from the legume family such as gotu kola (antanan), peanuts and clover. Legume plants as mentioned grow easily in any type of soil and are purposely planted to condition infertile soil. These plants capture nitrogen from the air and add free nitrogen into the soil. They also can also can be a good source of greens/biomass needed for composting or chopped off and drop it and mix it to the soil so as to add organic matter. Planting cover crops will also retain water needed for plants and microbial activity. Reduce tillage on soil. Heavy tillage is needed only in the beginning part of gardening when deep-rooted weeds like teki and alang-alang need to be taken out of the soil. However, after that tillage should not be frequently done as it will destroy the natural soil layer/ structure you have built over time. In order to loosen soil, a broad fork can be used to poke through the soil in a slow motion without bringing much disruption. Never use herbicide or pesticide. Using herbicide or pesticide will instantly kill millions or billions of soil organism that we need for growth of healthy plants through a whole biodiversity and activities of the soil web system. It will need a great amount of time again to achieve to its healthy state again. Some days you wondered, who are the people behind these fruit and veggie posts you see on Instagram. You then started to make your own hypothesis of who actually planted them. Is it some old farmers in a rural area? Do they use the latest technology in growing the crops? Where do they get their seeds from? 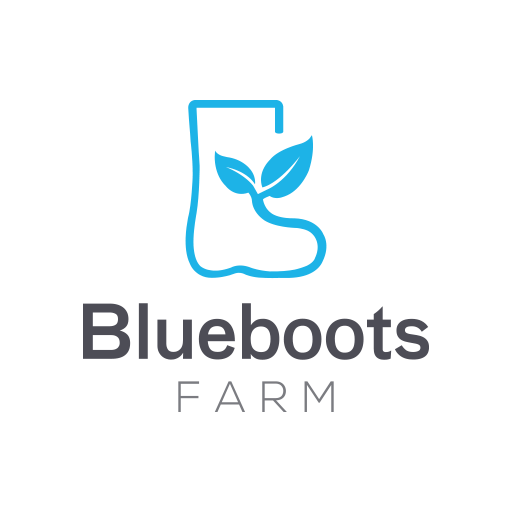 Read through to read about what people commonly think about Blueboots Farm and the truth behind it. Blueboots Farm is located in a remote rural area. We are actually located in Cijeruk, Bogor, 30 minutes off the city of Bogor. The same main street as Warso Durian Farm. Blueboots Farm is owned by an old rich man. 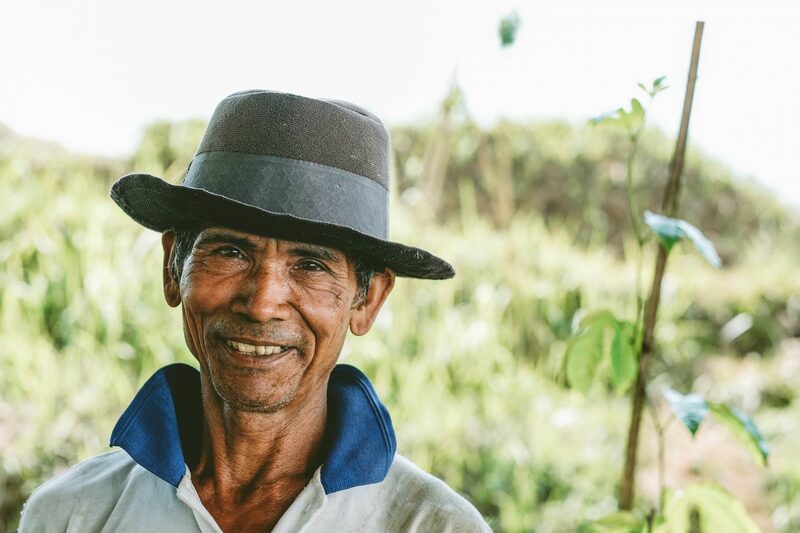 We’re definitely not old, we are young farmpreneurs who take on the challenge of growing food sustainably, with the help of local Cijeruk farmers in the area (although they look old, they’re soul and spirit is as young as us). We are also working with fresh graduate from IPB to strengthen our knowledge on growing food. In order to get the best harvest we use pesticide. In order to stay to our vision, we’ve been trying to find ways to keep our farm sustainable and organic. Therefore we make our own bio-pesticide from natural ingredients found easily on the farm. Like neem, suren, papaya leaves and many other smelly or bitter plant that deter pests. We grow the same crops all the time. In order to reduce the number of pests and maintain a healthy soil, crops rotation is implemented. We never plant the same kind of crop after each season. We have strong background in agriculture. False. We studied totally different things but we are keen to learn about agriculture. Most of our knowledge and skills came from asking around, learning from local farmers and doing things hands-on. There was definitely lots of trial and error and even now we are still trying different things to achieve the best result by combining traditional and modern methods. We hope what we do will inspire and positively impact our community. 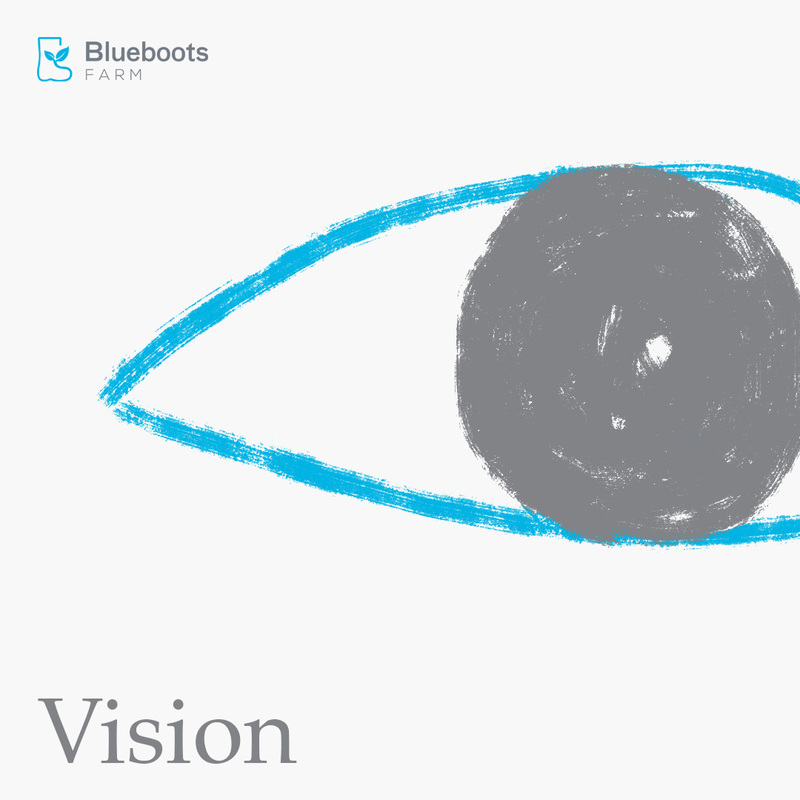 Follow Blueboots Farm’s progress as we strive towards a better future for farming! Another new day, another new knowledge about our local superfood. We will kickstart the day in knowing about Centella Asiatica also known as Gotu kola, pegagan, daun kaki kuda and lots of other names depending on how the locals know it as. This plant is not to be easily dismissed. Knowing Gotu kola’s benefit will help improve or treat your health. Indonesia is blessed with abundant of powerful and useful wild plants if we have the power of knowledge on the benefits of all the wild plants. Gotu kola is not a new found herb that is discovered for its tremendous health benefits but it is a forgotten plant due to our shift of importance of getting our essential nutrients with other valued vegetables, fruits and even health supplements. Gotu kola can be easily found growing wildly in farms, open-field, roadsides etc. if we look closely enough. It has beautiful spade-shaped leaves or horse-hoof like leaf that can be easily identified. Gotu kola is generally good to boost our immune system but however, it is really worshipped for its used as a combat to high blood pressure, boosting central nervous system, improving circulatory system, repairing skin, protecting veins and blood vessels and antibacterial properties. If anyone is facing any health issues with the above mentioned, please read more about Gotu kola and let Blueboots team know if you need this herb. We have plenty growing in the farm. Blueboots’ favourite way of consuming Gotu kola is adding fresh leaves to salad, blending it with basil to make pesto and also into powder dehydrated in low temperature to add to juices. Better eaten fresh for maximum nutrients. Growing up in a diverse and rich land, often times we take our land for granted. As we experience living abroad, we started to realize how blessed we are with rich soil and tropical climates. And as we take a closer look, we started to realize how vast the food industry has grown. Unfortunately, this growth has made the root of food distance from its consumers. A lot of young people don’t know how some fruits or vegetables look like before it’s processed. Most importantly a lot of people has forgotten how to grow like the old days, organically. Organic farming is actually not a new thing. If you look back and think about the farming back in the days, they probably didn’t have the knowledge and/or technology to use pesticides etc. In many Indonesian farms , farmers used local plants or herbs such as suren and neem to minimize pests that destroy their crops. They also often use their kitchen waste as a compost. It was the high demand (due to the scarce of food during wars) that pushes them to industrialize farming, where they maximized crops’ growth through technology. However, this ‘forced’ growth was not fully evaluated, neither was it sustainable. In order for farmers to keep growing ‘good crop’ they needed to keep buying ‘good seeds’ and pesticides, which might be more costly compared to how much they could sell their crops. The price was even lower if they had to sell it to the middlemen, also known as tengkulak. As we learned about this issues we were encouraged to face the challenge. We wanted to show to others that growing organically & sustainably is not impossible. 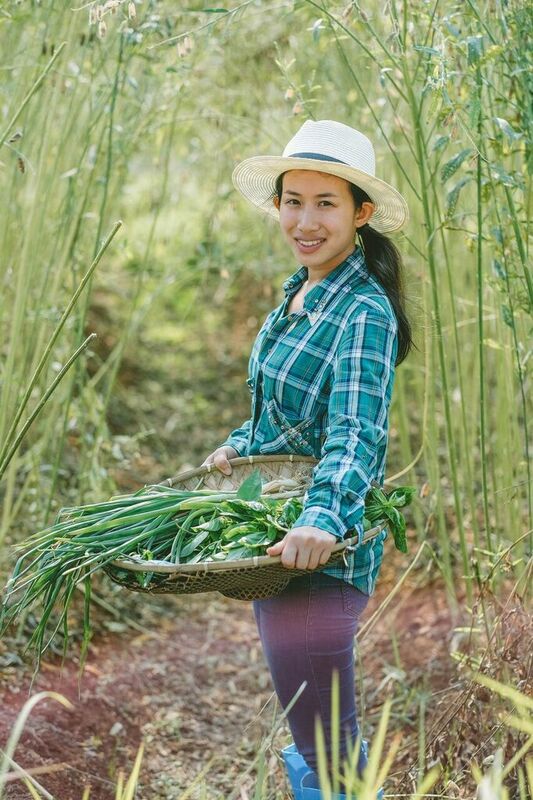 And since not everyone have the time to grow their own food, we want to be able to provide some options for their daily supplies by reintroducing some of the classic recipes of processing harvests in a modern & fun way. They help break down organic materials to good compost needed to feed the soil called worm casting or vermicast. Now that we know that these worms are so useful, everyone at Blueboots Farm is taking care of them and making sure that they too, are growing healthily to keep the whole process works well! Did you know that there is more than just a type of banana? We’ll be bringing a range of different bananas on this weekend’s 1/15 Coffee Sunday’s Best. http://blueboots.farm/wp-content/uploads/2016/05/May_14.jpg 1080 1080 bbfarm http://blueboots.farm/wp-content/uploads/2016/08/cropped-Untitled-3.png bbfarm2016-05-14 09:00:332016-08-26 04:02:07Go Bananas! Have you ever heard of Moringa? Or the drumstick tree? If you haven’t, you should probably find out more, as this plant has been known for its health benefits for thousands of years. However, due to the lack of local knowledge and promotion in our generation, we know Moringa tree as a wild plant growing. At the most, Indonesians traditionally use Moringa leaves to cast out bad spirits. Yikes! In places where food is a scarcity, Moringa leaves and pods are used to combat malnutrition. They are rich in protein, vitamin A, B2, B6, C, iron and magnesium. It is also rich in antioxidants and known to reduce blood sugar level, cholesterol and inflammation. There is many ways to consume Moringa. My favorite way is to add fresh leaves into soup or salad. Also, Moringa leaves can be dehydrated into green powders that can be blended into your daily juices and add natural green coloring and nutrition to your cookies or cakes. Not only is Moringa useful to our body, it is also a good plant to plant around the farm. Moringa tree is a legume that can capture Nitrogen into the soil that will benefit the plants around it. It is also a hardy plant that can grow in drought areas and are not affected much by heavy rain. 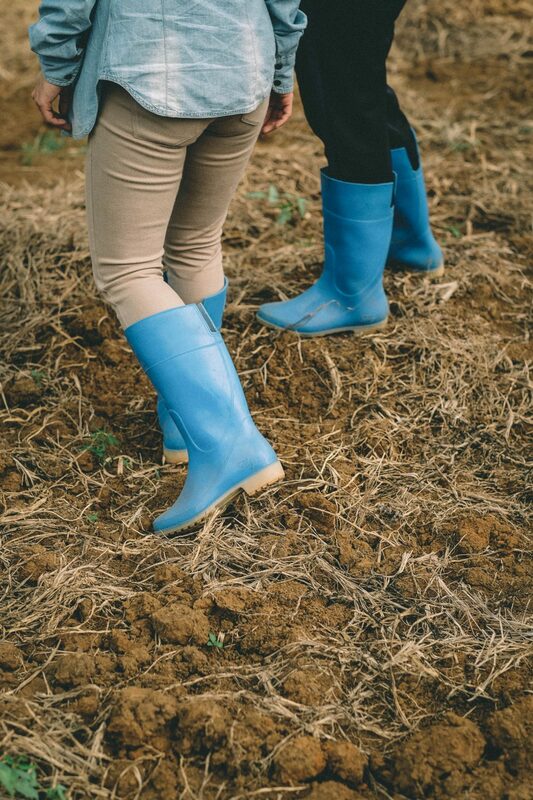 When we first came to the land, where Blueboots Farm is today, we found Moringa trees growing healthily across the land. We decided to keep the trees and let them grow as they were. Blueboots Farm team is currently experimenting to process Moringa so it can be used with convenience in domestic households. Hopefully it will be available for Blueboots Farm customers soon! 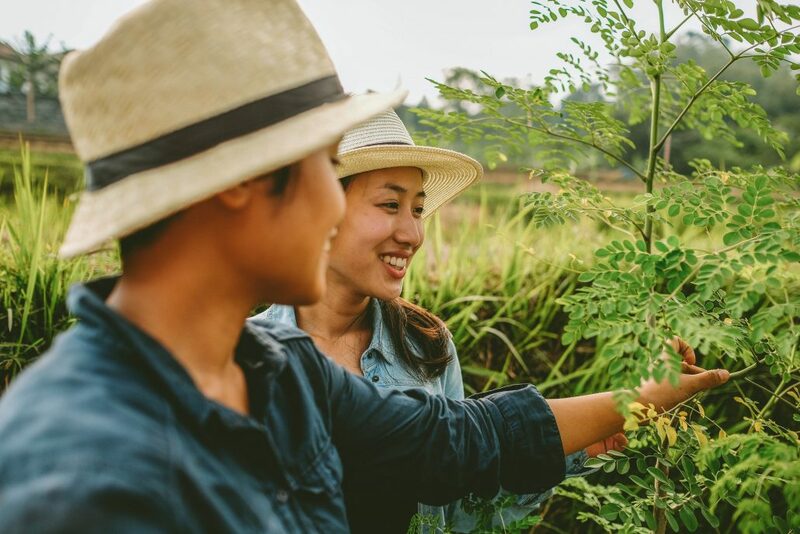 This morning, we chatted with Blueboots Farm’s founder, Samantha Gunawan, to find out more about why she ended up in a farm while a lot of women her age would not even want to spend too much time under the sun. Read through to find out how Samantha started Blueboots Farm and the challenges she had. What did you study, Sam? Does it have anything to do with farming? I studied Industrial Engineering at Purdue University for my bachelor’s degree. Tell us your first encounter/experience with farming. My first encounter will be going to Nafi’s farm at Cisarua and for the first time seeing, touching, smelling and tasting the plants right off the ground and not from the supermarket or on a plate. It was a rousing encounter that got me curious on where our food comes from. Why did you start Blueboots Farm? I started Blueboots farm because I was just dying to learn and experiment on growing. I knew that the best way of learning to farm is to start trying. I started right away and it has been a roller coaster ride since then, trying to figure things out and sometimes doing things from scratch. Definitely I encountered lots of trial and error in the process. Although Samantha did not have a background in farming, she has been very keen in learning, trying and getting her hands on the process. 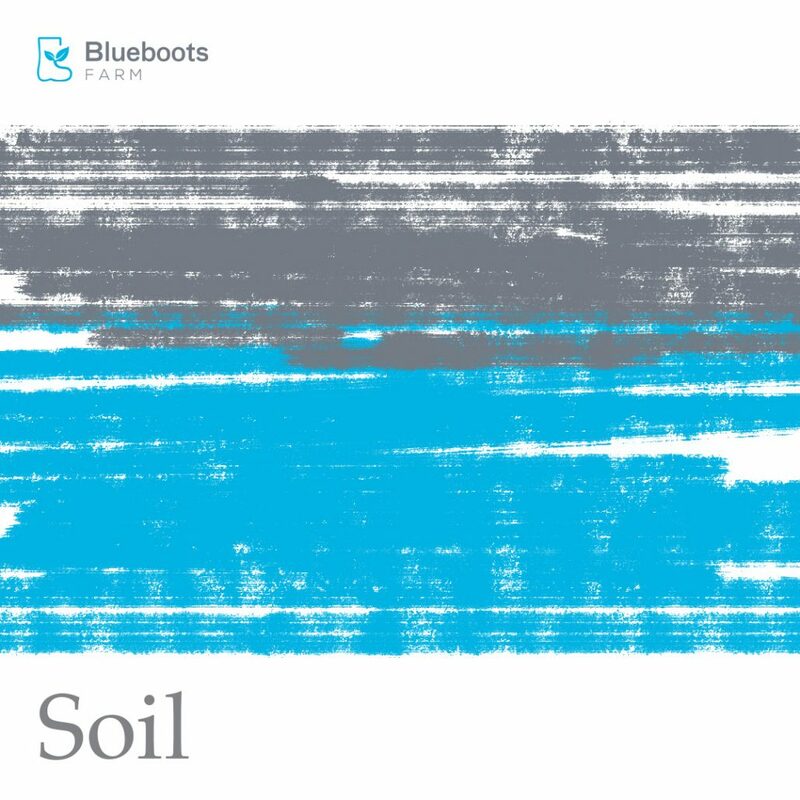 To know Samantha further, you can always email her on samantha@blueboots.farm. She would be more than happy to talk if she has got no soil in her hand.